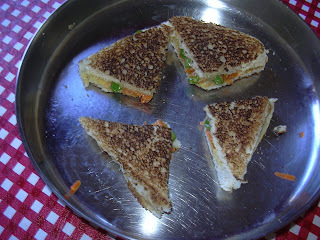 sandwich with veggies looks yummy vidya. 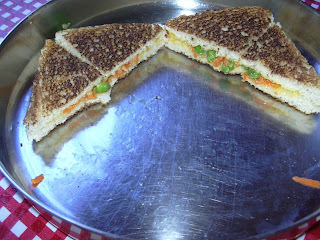 Sandwich looks healthy and very delicious..
Wow this looks really good. i have to make it! It's a smart way to get your kids to eat veggies! It sounds simple to make. I may try it sometime.